Today, when we want to do complex math equations most of us pull out our smartphones. Even those of us stuck in the past probably grab a digital calculator. However, there was a time when adding machines were massive mechanical beasts. 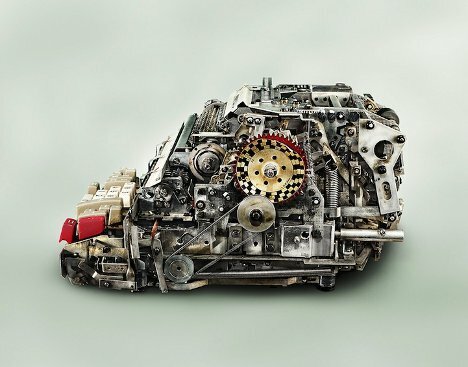 Photographer Kevin Twomey takes the covers off of these hulking machines and exposes their impressively complex innards. Old adding machines probably aren’t anyone’s idea of beautiful. They are bulky, heavy and loud to use – but the plain covers hide some wonderfully intricate machinery. 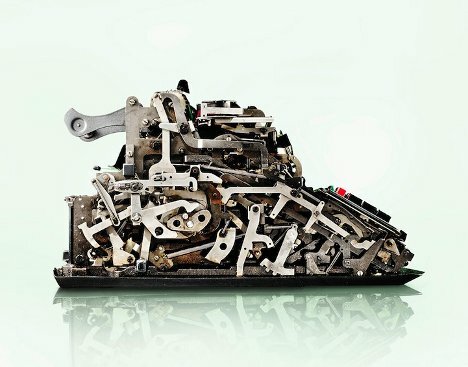 Unlike modern gadgets which are filled with tiny electronic components, these relics are crammed full of gears, springs, levers, belts, bolts and various unidentifiable – but crucial – bits of metal. Twomey uses a lighting technique that perfectly illuminates and enhances each tiny bit of the machines’ guts. 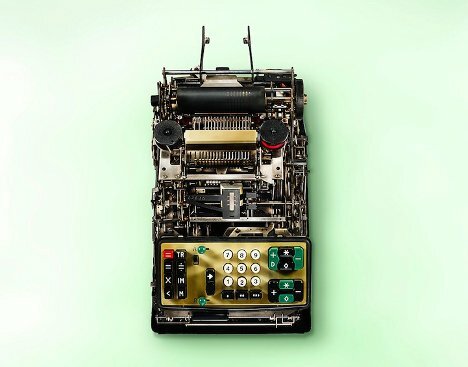 The machines themselves are borrowed from the collections of vintage adding machine enthusiasts, put before the lens to bare their complicated insides to the world. See more in Antique Gadgets or under Vintage & Retro. March, 2012.